The music history of the territory of Central Europe arose in the melting pot of the relocating Germanic, Avar and other tribes. Right here Slavs in the 8th to 10th centuries created one of the most significant state departments with their own original culture. Already at that period, music played an important role in the life of tribal communities; our ancestors possessed rich instrumentation comprising brass, strings and percussion, songs, dances and games celebrating important life events. Until today the Igrici singers have maintained the ancient ceremonial songs speaking of pagan worship, the celebration of the summer solstice, and also heroic warriors. The advent of Christianity in our area is connected to the beginnings of the liturgical chant, which was the main pillar of medieval musical culture. In addition to the Latin liturgy in our country there also existed the Slavic one, thanks to two Byzantine missionaries – Constantine and Methodius, who were invited by Slavic princes in the 860s. Latin liturgical singing in our territory spread and grew in the form of the Gregorian chant, particularly among the Benedictine, Carthusian and Franciscan religious orders. However, various individual hymns and spiritual songs also originated in the canonry and parochial schools through taught music. The Slovak National Archives contain a particularly interesting group of memorials that form the oldest fragments derived from the bonds of the Kremnička parish library books and from the Bratislava Kapitulska library dating from 1200. The period of the musical renaissance in Slovakia brought new musical forms, a rich musical life in the city and is documented by numerous sources. There was the development of spiritual music and spiritual songs often seasoned in folk songs. Instrumental music grew in importance thanks to the bourgeoisie, but also the nobility, whose music and its development they broadly supported. In the 16th-17th centuries, in addition to historical anti-Turkish songs in the ranks of the bourgeoisie and intelligentsia, there formed a great current of reformatory spiritual songs. In 1663, this movement resulted in the first issuance of the Cithara Sanctorum hymn book, collected by the Czech priest Juraj Tranovský (Tranoscius) operating in Liptovský Mikuláš. The Counter-Reformation answer was the Catholici Catholici (1655), compiled by the Jesuit Benedict Szőlősi. There also originated municipal schools in which music was taught, particularly choral polyphonic singing. In Bratislava, Banská Bystrica, Levoča, Prešov and in other cities there were presented large choral works by masters of Renaissance polyphony. In addition to spiritual music, to increase the magnificence of town festivals and the entertainment of townspeople, paid town trumpeters produced secular music. Instrumental music deserves special attention, which mainly developed in aristocratic residences during the 17th century in our country. It was mainly played by a high-level aristocratic band, often composed of musicians from all over Europe; the High Baroque, coming from Italy and Germany. A characteristic of Slovak church production was the Baroque pastorale with a Christmas theme, which in church music received folk motifs for the first time (Edmund Pascha). During the 18th century, the cultural influence of Vienna increased, its proximity accelerating the penetration of neoclassical music in towns, palaces and monasteries in our country. There arose municipal music associations and organizations. Bratislava was in first place in the musical life of Slovakia, which in the second half of the 18th century for a certain period became the residential town of the Hungarian viceroy. Instrumentals, opera and vocal music resounded in the aristocratic palaces, castle and the city opera and the desire of the city officials was for the musical life of Bratislava to equal Viennese quality. The musical history of Slovakia is something to boast about thanks to the visit and also the performance of Wolfgang Amadeus Mozart, Joseph Haydn, Ludwig van Beethoven, Franz Schubert (lived for several months in Želiezovce), and also many other world-class artists. Count Anton Grassalkovich owned a renowned music ensemble with an exceptional level of interpretation; Count Johann Nepomuk Erdődy had a private theater company and orchestra. As domestic composers of high classicism, successes were especially reaped by Anton Zimmermann as well as the composer and pianist – a famous native of Bratislava – Johann Nepomuk Hummel. The influence of Anton Aschner also falls into this period. He was a, composer and organizer of musical life, who worked and lived in Kremnica. His artistic and organizational activities were also appreciated in Bratislava, then known as Pressburg, where in 1791 he was awarded the major Royal Viceroy medal for contribution to the development of music in Hungary. The Catholic University in Ružomberok is now devoted to the research of these important figures, and managed to publish several volumes of sheet music editions of the work of Anton Aschner as well as CD recordings of his work. Bratislava also remained the center of the Slovak music scene in the 19th century, a city visited by prominent musicians – Franz Liszt (the nine-year-old Liszt’s first concert was held in Bratislava in 1820), Carl Maria von Weber, Hans Bülow, Johannes Brahms and others. Musical life in Slovakia, however, was affected by the difficult economic and social conditions of the Kingdom of Hungary, which was part of the Habsburg monarchy. Slovaks were seeking national and cultural autonomy, but after the initial wave of collectors and arrangers of folk songs and creators of piano saloon dances there arrived the first creative steps of a generation of Slovak composers – Ján Levoslav Bella, Mikuláš Moyzes, Viliam Figuš-Bystrý and Mikuláš Schneider-Trnavský, who laid the foundations of Slovak national music. The romantic quoting of folk songs started to be replaced with a realistic character and his works followed the creation of mature European music. The works of the Slovak composer, organist, conductor and teacher Ján Levoslav Bella (1843 – 1936) are the musical expression of mature romanticism and comprise one of the cornerstones of Slovak musical culture. 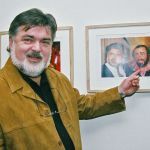 The current efforts of the Music Center in Bratislava is the issuance of the composer’s collected work, in order to make his artistic legacy available to the general public. Bella was the first Slovak opera creator, his work Kováč Wieland premiered in 1926 at the Slovak National Theater. At a professional level he brought to the opera company of the Slovak National Theater the early Czech composer and conductor Oskar Nedbal and after his death, his nephew Karel Nedbal. The Slovak opera scene was dramaturgically and artistically, in terms of a diverse repertoire, one of the wealthiest in the Central European scene. In addition to the Slovak National Theater, the Orchestral Association of the Slovak Philharmonic (1920) also enriched and developed musical concerts, which presented both older and contemporary orchestral works by Czech and Slovak composers. Its first conductor was Miloš Ruppeldt, but after 21 years the orchestra came to an end. Another important music ensemble was the Bratislava Symphony Orchestra, which under the leadership of Oskar Nedbal achieved a high level of interpretative culture. Shortly after the launch of radio broadcasting, the Bratislava Radio Orchestra also started functioning, which also held its own public concerts in addition to recordings. Another important composer, Frico Kafenda in the early 20th century, studied musicology and composition in Leipzig and later served as director of the Music School for Slovakia in Bratislava, where he merited promotion to the Music and Drama Academy and then the State Conservatory. Thanks to his teaching activities, rich experience and excellent piano methodology he trained many successful Slovak pianists (M. Karin, E. Fischer-Martvoňová et al.). A deep footprint in the history of our culture in that period was left by the founder of the Municipal School of Music – Alexander Albrecht. He belonged to the foursome of Bratislava, who dedicated their professional life to music: Franz Schmidt combined his studies and professional life with Vienna, Ernő Dohnányi, Béla Bartók and Alexander Albrecht continued their musical studies in Budapest. While Dohnányi and Bartók stayed in Budapest after graduation, Albrecht subsequently studied the organ in Vienna and his professional life was connected permanently to Bratislava. His first music teacher was the four-year older classmate, the mentioned Béla Bartók, with whom he graduated from the piano in Budapest. Albrecht was the organist of the Cathedral of St. Martin and worked as conductor and director of the Church-Music Society at St. Martin’s Cathedral. Under his leadership, there were church and concert performances by the choir and orchestra along with art events in Bratislava, featuring great oratorios and cantatas ranging from the Baroque to contemporary. Albrecht’s annual presentation of Beethoven’s 9th Symphony became famous. His son Ján (violist) became a teaching legend. This musicologist and aesthetician’s informal relationship with students, critical self-irony, self-sacrifice and love of art created an atmosphere in which today’s active generation of artists, musicologists and composers developed. From 1954, Ján Albrecht also worked as an active performer and initiator of several chamber ensembles. This activity culminated in 1973 by establishing the Musica Aeterna ensemble, which since 1989 has played old instruments from the 17th and 18th centuries, or their replicas. The Albrechtina (2010) civic association, by its establishment and name, paid tribute to the memory of the Albrechts, father and son. The main objective of its members is to revive the music our institution has forgotten or neglected entirely. In addition to Bratislava, the level of musical life recorded in other parts of Slovakia increased as well. Choirs were founded, music schools and amateur orchestras established. In 1924 the permanent Košice National Theatre was established in Košice. The activities of international music festivals were also run, the most important including the Summer Festival in Trenčianske Teplice, whose history started in 1936. Artists were collected into two associations – the older generation in the Association of Slovak Artists (M. Ruppeldt, M. Schneider-Trnavský, V. Figuš-Bystrom, D. Linhart et al. ), the younger in the Slovak Art Association. Its ideological currents, marked by the broad cultural perspective of members who maintained constant contact with Prague, Vienna and other European cultural centers were a kind of counterbalance to the Association of Slovak Artists. The entire younger generation of composers raised in the first Republic reported to the advancement line. The generation of J.L. Bella, M. Moyzes V. Figuša-Bystrom and M. Schneider-Trnavský was closely linked with Slovak folk songs and prepared the ground for the emergence of the younger generation (Alexander Moyzes, Eugen Suchoň, Ján Cikker), who went their own ideological and artistic way. They created new ideals and objectives: to create contemporary modern Slovak music and integrate the musical culture of Slovakia into Europe’s cultural body. Each one of this younger trio of composers significantly contributed to the development of Slovak music, the eldest Moyzes his symphonies, Suchoň a thinker of profound expression and Cikker as the youngest immediate emotionality and inventiveness. All three studied in Prague. In 1937 Alexander Moyzes became the director of the music department of Czechoslovak Radio, divided after the disintegration of the common state. In addition to German composers, Moyzes managed to get the new works of Slovak artists on the air, as well as Czech and Russian classics, which had a considerable impact on the musical awareness of listeners across our territory. The symbolic start of Slovak musical modernism was his First Symphony, Opus 4, part of his work influenced by the European avant garde, including jazz. The second direction of the composer’s creation represents the tendency to use the characteristic elements of Slovak folk music. In this genre diversity and richness Moyzes’ creation rests on the groundbreaking nature of his composing work, because in many cases he was the first Slovak composer who professionally, artistically and successfully rose to the occasion regarding the given issue. Due to Moyzes’ teaching activities, the modern Slovak composers expanded with the inclusion of other significant names: Ladislav Holoubek, Andrej Očenáš, Tibor Frešo and others. Eugen Suchoň broke into the scene with the Ballad Suite, which was published by Universal Edition in Vienna. In the fall of 1940, the then SND Commissioner commissioned the poet Ján Smrek, literary scholar Andrej Mráz and composer Eugen Suchoň with the challenge of creating a Slovak national opera. Suchoň selected the suppressed Milo Urban novel From Vyšný Mill as the story. His intention was to write a modern opera with the theme of a Slovak village, but not in the spirit of realism or naturalism. The opera Vortex later became an “exported” work, which experienced exceptional success abroad. Eugen Suchoň’s work consisted of the massive central pillar of Slovak musical culture. From the start, the artistic profile of Ján Cikker had a Slovakness linked to Slavdom and Europeanism. The reason for the large success of Cikker’s operas abroad lies not only in his compositional artistry and dramatic mastery, but also the humanistic ideas of his works springing from traditional European spiritual values. 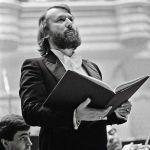 The message of his fourth opera Resurrection, based on Tolstoy’s novel, resonated positively in the music world of Western Europe in the 1960s and 70s. The dominant artwork, awarded the Herder prize and the UNESCO prize for music, was a series of nine operas. Cikker’s Concertino for Piano and Orchestra can be considered as the first representative concert work for Slovak piano literature. His composition Memories is among the most frequently mentioned Slovak works of its kind abroad. The antiwar theme became the subject for the work Cantus Filiorum, symphonic trilogy About Life and Symphony, 1945. Thanks to the freeing of the social and cultural climate after 1962, a group of young composers entered Slovak musical life, represented by Cikker’s students Ilja Zeljenka, Peter Kolman, Roman Berger, Ladislav Kupkovič, Ivan Parika and others. Although reared in the traditionalist environment of the Academy of Performing Arts, inspired by their dramaturgy concert life abroad, they began to order the replaying of works by outstanding 20th century music figures for students of Bratislava music schools (Pierre Boulez, Karlheinz Stockhausen, Luigi Nono). Ilja Zeljenka took over the leadership position himself, his Second Piano Quintet the first Slovak atonally-composed music. Of significance was the rise of the “Music Today” contemporary music group (1964). The Ladislav Kupkovič composition Interviews for Flute and Bassoon was presented as the first Slovak avant-garde piece on the international stage in Vienna and in 1963 at the Autumn Warsaw International Festival of Contemporary Music. The ensemble folded after the departure of Ladislav Kupkovič to West Germany (1969). Peter and Lucia (1965) by Miroslav Bázlik is an important work in modern opera, which carries traces of expressionism. 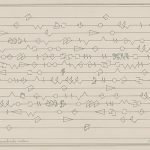 It linked the historical impact of music with twelve-tone technology seen in the compositions of Jozef Malovec. The foursome of the youngest composers entering musical life in the 1960s included Juraj Hatrík, Jozef Sixta, Tadeáš Salva and Juraj Beneš. Slovak avant-garde music compositions were recorded not only in domestic radio studios, but also abroad. Ladislav Slovák presented Symphony in C by Ilja Zeljenka with the radio orchestra in Sydney. The Austrian publisher Universal Edition published the score of Ladislav Kupkovič’s composition Meat Cross. After the occupation of Czechoslovakia in 1968, however, a variety of composers, musicologists and performers emigrated. Out of the composers of the emigrant generations, Kupkovič developed in an interesting way, when in the mid-70s he abandoned his avant-garde tendencies and started to compose entirely in the spirit of classicist and romantic tendencies. The late 70s saw the arrival of a trio of composers – Martin Burlas – Ján Cikker’s student, Dezider Kardoš’s disciple Vladimir Godár and Peter Breiner from A. Moyzes’s class, significantly starting at home but especially abroad, to promote the unofficial representative underground music of the composer and artist Milan Adamčiak, creator of video music based on improvisation and aleatoric music. After the political coup in 1948, it was the most important starting point for the cultural acceptance of Soviet Communist power. But also new professional institutions arose: The Academy of Performing Arts, the Slovak Folk Art Ensemble and the Slovak Philharmonic. Ľudovít Rajter was invited along with Václav Talich for its formation, which also acquainted a regular concert audience with compositions by domestic composers. This body of work gradually began to enter the consciousness of the European concert audience. In 1960 there was founded the Bohdan Warchal Chamber Orchestra, which in 1967 became an independent orchestra of the Slovak Philharmonic. In early 1986, the orchestras of the institutions became the early music ensemble Musica Aeterna and Moyzes Quartet (operating consistently in the institution until 2005). The onset of a new phase in the development of the company in the last decade of the 20th century also brought about innovation in the life and work of the orchestra, choir and chamber ensembles. The breakthrough in the development of our first opera scene occurred with the staging of Suchoň’s opera Vortex. The SND Opera has since presented most of the new Slovak operas. The creations of top Czech directors continued in the post-war period with subsequent directorial personalities who significantly developed and emancipated the position of director. The Slovak vocal school had a relatively young history but still resulted in many high-quality opera and concert performers and educators. 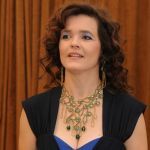 The current grand opera world knows the names of Slovak singers (Peter Dvorský, Peter Mikuláš, Dalibor Jenis, Ľubica Vargicová, Štefan Kocán, Pavol Bršlík, Adriana Kučerová). This first generation of singing teachers included Imrich Godin, Anna Hrušovská and Dr. Janko Blaho. Musical life in Slovakia after 1968 was enriched by the creation of another professional symphony orchestra – the Košice State Philharmonic. Thanks to their high artistic level, this group had great success abroad as well. It hosted the International Košice Music Spring Festival (since 1956), the scope of which was later extended to the entire territory of Eastern Slovakia. 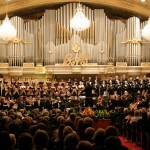 Since 1970 the International Organ Festival has also been part of it. The music company Hemerkovcov, in cooperation with the Košice State Philharmonic, participates in the organization and dramaturgy of a contemporary art festival, which since 2008 has borne the name Ars Nova Cassoviae. 2013 was a significant year for the town of Košice and the entire Košice self-governing region, when the city was 2013 European Capital of Culture. This in fact kicked off a process of renewal and expansion of the cultural infrastructure in the small cadastral area in the modern history of the town, and in several cultural institutions at the same time. 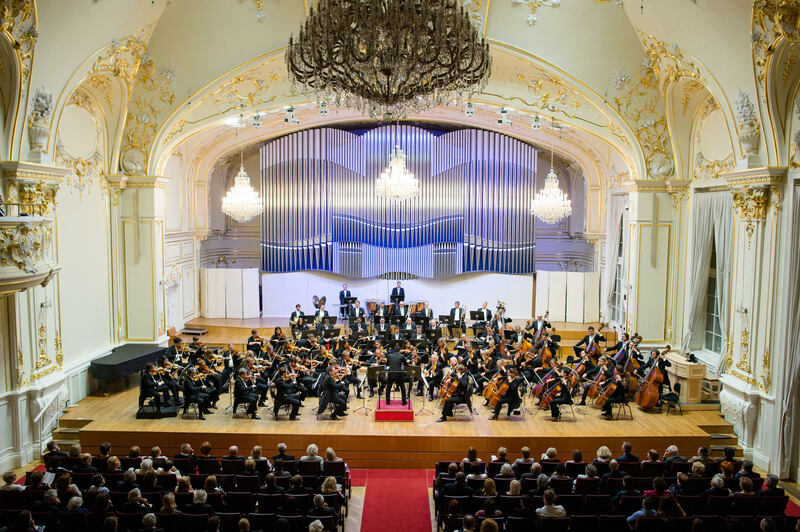 Our State Chamber Orchestra of Žilina (created in 1974) has had an effect on five continents so far, which together with the State Opera of Banská Bystrica enriches the contemporary cultural profile of Central Slovakia. A change in government policy after 1989 brought about the culture of partially subsidizing, non-systematic management resulting in a threat against several important institutions and all have underwritten the state of musical culture, which we are feeling more and more. It began with changes also to the organizational background of concert and musical life. Several music events came to an end (e.g. the Žilina Festival Chamber Orchestra); on the other hand there arose new, emerging ones put together by newly-arisen organizers. In 1996 Slovkoncert was replaced by the Music Center. The most important activities of the Music Center include the Melos Ethos International Festival of Contemporary Music, which is the largest festival of its kind in Slovakia and the Central European Music Festival in Žilina, presenting young winners of international competitions. The Music Fund as a separate legal entity has been operating since 1954. Since its inception, it has developed support activities focused mainly on classical music. In 1964 the Music Information Center was founded, which particularly carried out the promotion of Slovak musical arts at home and abroad. In 1976 the Publishing Music Fund was founded. In Slovakia there currently operate three professional symphony orchestras (the Slovak Philharmonic, the Košice State Philharmonic and the Slovak Radio Symphony Orchestra), three chamber orchestras (the Žilina State Chamber Orchestra, the chamber orchestra of the capital Bratislava called Capella Istropolitana, the Slovak Chamber Orchestra of Bohdan Warchal), three opera houses (the Opera of the Slovak National Theater in Bratislava, the Banská Bystrica State Opera, the Košice State Opera) and a symphonic choir (the Slovak Philharmonic Choir). 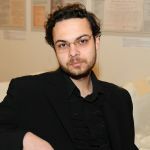 Specialized music groups have an essential role in presenting contemporary music works – during the 1990s the Veni na čele group with Daniel Matej, along with the Melos Ethos Ensemble and Quasars Ensemble. Currently the problem of musical culture in Slovakia is its funding. In 2015 the Slovak Ministry of Culture established the activity of the Fund for the Support of the Arts, taking the form of the allocation of subsidies to ensure the continued existence of many music festivals, events and projects of different kinds in all Slovakia. This also applies to the functioning of ensembles with a high international reputation, such as Musica Aeterna and Solamente Naturali, which are not covered by any art institutions supported by public funds. The possibilities of performances is irregular and much less frequent so that, their continued existence is threatened.